Welcome Home! 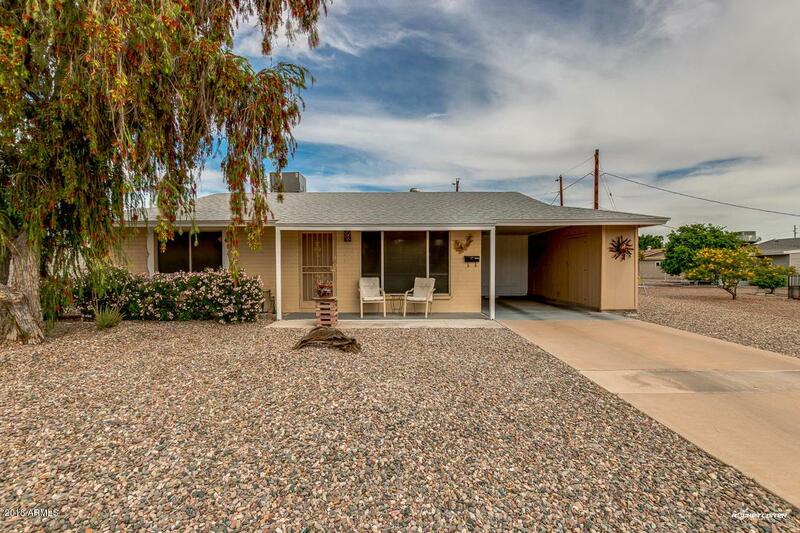 Charming 2 bed, 1 bath property located in Sun City. This beautiful home features carport space, outside storage off carport, gravel front and back landscaping, living/dining room, extra room with lots of windows for dining, office or living area and neutral paint throughout. Dreamy interior offers a kitchen complete with lovely matching appliances, gas stove, tiled back-splash, and ample cabinetry. Spacious backyard is comprised of landscape paver sitting area, patio, & citrus trees! Roof was replaced in 2014. HVAC and gas pack was replaced in 2014. There is additional space behind carport/storage area to park your golf cart! Sun City is a 55+ community.